Running a successful event is great for you and for your event attendees. However, what’s even better for your business or organization is getting your attendees to come back. Not only because you’ll be building customer loyalty, but because it’s 6–7 times more expensive to gain a new customer than to retain a customer. Don’t make it harder on yourself! 1. Send a follow up survey. When you use a post-event survey, you hear right from the source what made your event worthwhile, and what could be improved. Implement this feedback directly into your planning for your next event. Make sure you promote these changes to past attendees when you invite them to your next event. Attendees will appreciate you made the changes and improved your event, but my guess is they will appreciate being heard even more. Reward past attendees by letting them register first! It’s as simple as saving your list of past attendees and sending them an event invitation before anyone else. Don’t wait until the body of the email to tell them it’s an exclusive invite. Tell them in their inbox! According to the Worldata Email Usage Study Q4 2010, having ‘exclusive’ in the subject line generates an additional 24% open rate. This certainly worked for the Chesapeake Wine Festival. Their average invite open rate — 30–40% — jumped to 60% when they emailed past attendees first. And if your past attendees need an extra push, you can always entice them with a special discount just for them. 3. Use social media to stay connected. We surveyed our customers, and 39% of them use social media to get repeat attendees. If your business or organization has a social presence, then you have no excuse not to utilize social media to get repeat attendees. It’s the perfect way to stay top of mind with your attendees. It’s perfect because it’s so easy! You can share your event collateral by getting them excited with a video, or sharing info about a speaker. And don’t just blast out your messages; start a conversation! What was it about your event that got your attendees most excited? Who are they most looking forward to seeing at your next event? That two-way interaction strengthens your relationship and will ensure they show up the day of the event. Hosting a successful event is the most important thing you can do to get attendees to come to the next one. 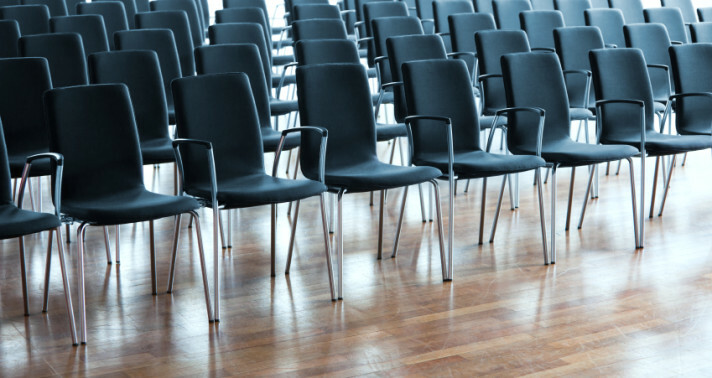 If you throw a bad event, you have bigger fish to fry than getting attendees to come back. The steps above are designed to build off your event’s success and drive even more repeat attendees in the future. Download our new guide, Planning a Successful Event Campaign: 15 Essential Best Practices for Making Your Event a Success.